If you own more than one PCP you know what a hassle it is to change from one charging adapter to another. The Quick Fill system allows a shooter to switch from charging one gun to another without scrambling for a wrench. The Quick Connection system consists of two primary pieces. The uick Fill Female connector and the Quick Fill Male connector. 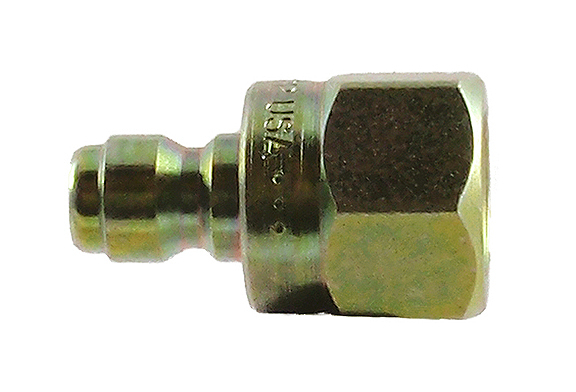 The Female connector attaches directly onto your compressor, hand pump or scuba adapter. The Male connector screws onto the gun's probe, collar, special adapter or other filler device. The Male and Female connectors are then easily connected and disconnected.